Freedom Steel Buildings is the Newest Member of Associated Builders and Contractors Inc.
Freedom Steel has been inducted in as the only Steel Building Supplier in the Florida East Coast Chapter and is excited to collaborate with their members on both a local and national level. The philosophies that govern ABC, from their mission to their philanthropy, are well aligned with those of Freedom Steel which makes this announcement so special to us. 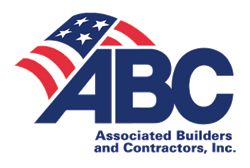 Associated Builders and Contractors Inc. (ABC) serves as the voice of commercial construction across the United States. Freedom Steel has been inducted in as the only Steel Building Supplier in the Florida East Coast Chapter and is excited to collaborate with their members on both a local and national level. “The philosophies that govern ABC, from their mission to their philanthropy, are well aligned with those of Freedom Steel which makes this announcement so special to us,” stated Dave Goldstein, VP of Operations at Freedom Steel. Freedom Steel Buildings will be at the ABC Fall 2017 GC Showcase at Hard Rock Stadium on September 14th, 2017. We hope you will join us to learn more about ABC can benefit your organization and to come meet the Freedom Steel team. ABC operates under the vision of creating an environment by which both people and companies prosper through free-enterprise and free-market by leveraging its members and local politics. To learn more, visit http://www.abc.org.